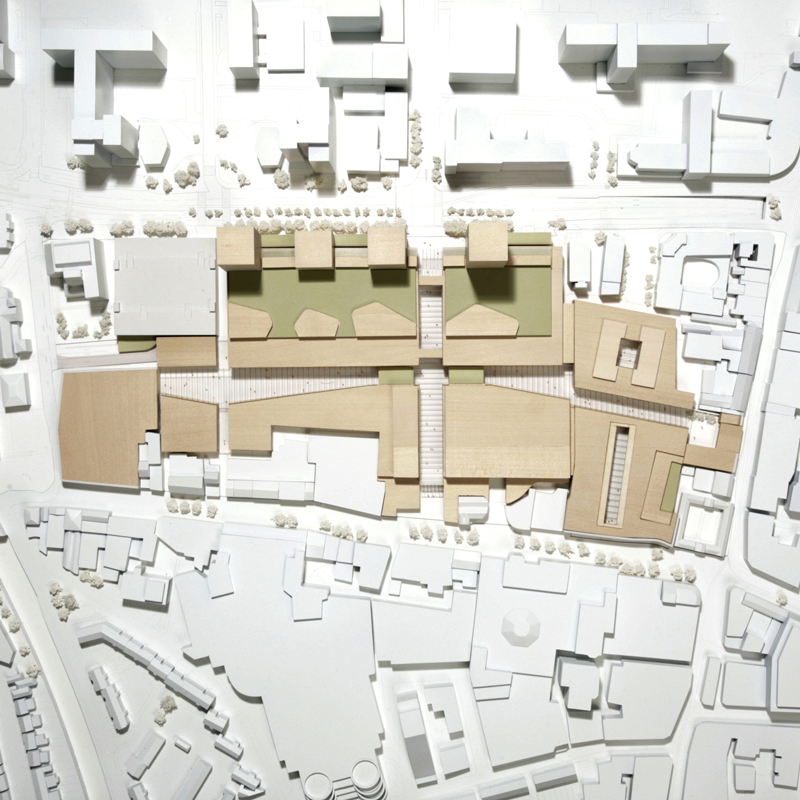 Outline application for the redevelopment of a shopping centre, including new retail and leisure space, and residential accommodation in a series of towers. The town centre site, adjacent to grade I listed almshouses, is partly in a conservation area, and close to a listed church. Planning application submitted in October 2016.